The Search Queries feature in Google Webmaster Tools remains on of the most invaluable sources of information regarding the organic traffic that's coming to your site via Google Search, and how exactly is it ending up there. You can use the information provided to improve your site's visibility in search engines. We'll talk about this Search Queries feature in today's post, and how you can use it to analyze the search queries leading to your site. 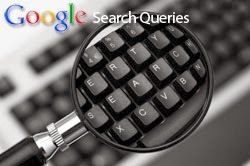 Search queries are the keywords and search phrases that users enter in a search bar. These queries are processed by the search engine, which then displays the relevant results. So in a sense, search queries have more to do with ranking than anything else. Each webpage ranks uniquely against for a certain search query. 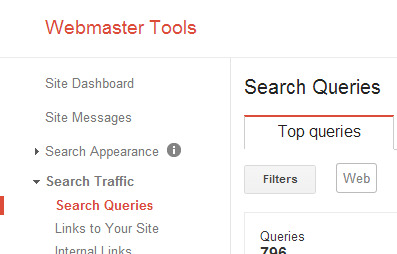 If you head over to Google Webmaster Tools, you can see the search queries that lead traffic to your site. You can view this information by expanding the Search Traffic section, and then clicking on Search Queries. The search queries feature gives insights into the searches that have at least one page from your website shown in the search results. It collects these "impressions" together with the times when users visited your site - the "clicks" - and displays these for the last 90 days. You can also see the click-through rate, along with average position in search result pages. It seems like the search query data has become much more refined. It used to be bucketed before, but Google seems to have worked on it to should more detail. Here's a comparison before and after the change. You can do a lot with your search queries. One particular thing I like is the 'With Change' option. You normally see the 'Basic' option turned on. But if you were to click on the 'With Change' button, you'll be able to see a new column added for each that was there before, indicating the change in that value over time. This lets you see how your pages have performed over time. If you click on Change next to any column, you can get to know what sort of content is trending, which tells you what should you cover. It also shows you negative change, which lets you see what's not working, and how you can improve/salvage it. You can also sort your queries by highest CTR, impressions, clicks, and average position on SERPs. A high number of impressions and a low average position tells you that your content is doing fine turning up on SERPs. But its the CTR that actually let's you know whether searchers are actually falling for it. A High Impressions but a low CTR means your content might be SEO optimized, but isn't eye-catching. So you might work more on your meta descriptions, snippets, titles, permalinks, and so on. I will use it and hope that it helps me a lot. What a informative article, I will concentrate on page SEO, title, description, permalink. This feature is new in webmaster tool. I think this post will surely help the new webmasters.